Blog A Close Look at "Open to New Opportunities"
Signaling that one is “Open to New Opportunities” without alarming your boss is certainly a good idea for a job seeker. Recently, LinkedIn introduced this feature. If you are a job seeker, there are a couple of things to be aware of here. 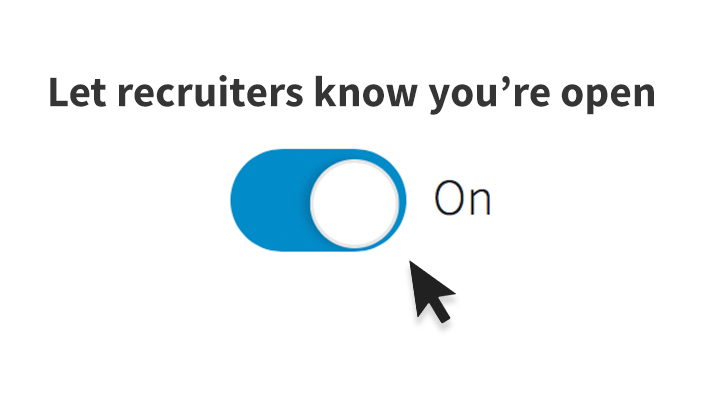 (1) The signal you send gets only to LinkedIn Recruiter product subscribers. That subscription is quite expensive. For many smaller companies – both potential employers and smaller recruiting agencies (which may be serving large corporations!) – the product costs too much to buy. Just be aware that the signal only goes to some, not all professionals who might want to employ you. (2) The “exact” employer, i.e. a registered company on LinkedIn, will not see your status. But any company working in a close relationship with your employer, for example, other divisions registered as separate companies and third party recruiters, can still find you as someone looking. Then, people from different companies who are friendly can also ask each other to search. An employer without the subscription can ask someone with a subscription to look. (Etc.) Here’s a related discussion in our group. It’s progress, though – Recruiters, no matter which subscription they have, have not been able to search for members with paid “Job Seeker” accounts. So for people who are openly looking, I’d advise raising the flag on your account. For those who want to keep it a secret, I am not sure. 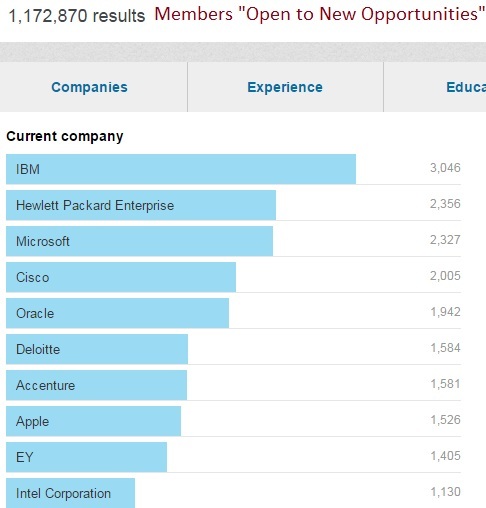 If you are curious how widely members have used the “Open to New Opportunities” signal, here are some statistics, measured this morning using LinkedIn Recruiter. The “Open” members amount to 0.25% of all the membership, as of now. Hi. 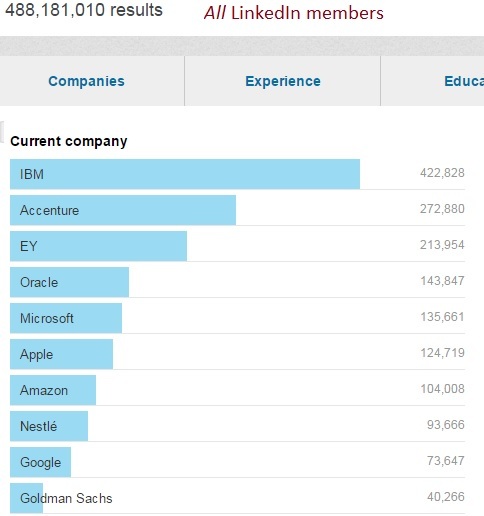 Your thought makes a lot of sense to me but I’m not completely onboard and here’s why … What’s interesting is the firms listed above probably hold some percentage of their employees accountable for understanding the ins and outs of the LI platform. I’m suggesting these firms value the knowledge certain employees gain from switching on the “open to new opportunities” functionality. The data points management receives from such employees may provide a competitive advantage especially in the areas of LI product knowledge (crucial for consultants coaching clients on LI) and competitive hiring practices and interest. I question the validity of the data. I also do not have a problem with this approach since platform expertise is hard to come by without the chance to navigate directly. What do you think?